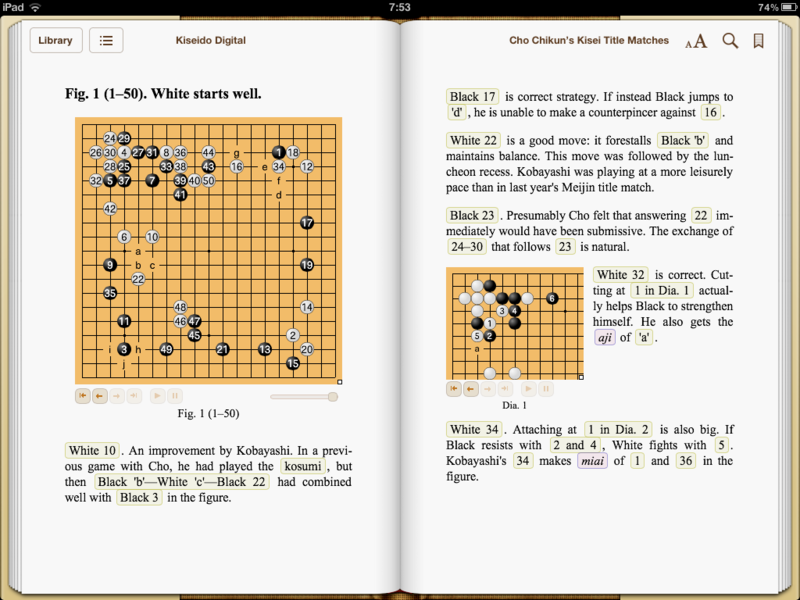 Kiseido Digital is proud to announce a new generation of digital go materials in ebook format. Our books are available for purchase and reading on a number of platforms. They use the unique interactive Go Books You Touch technology. 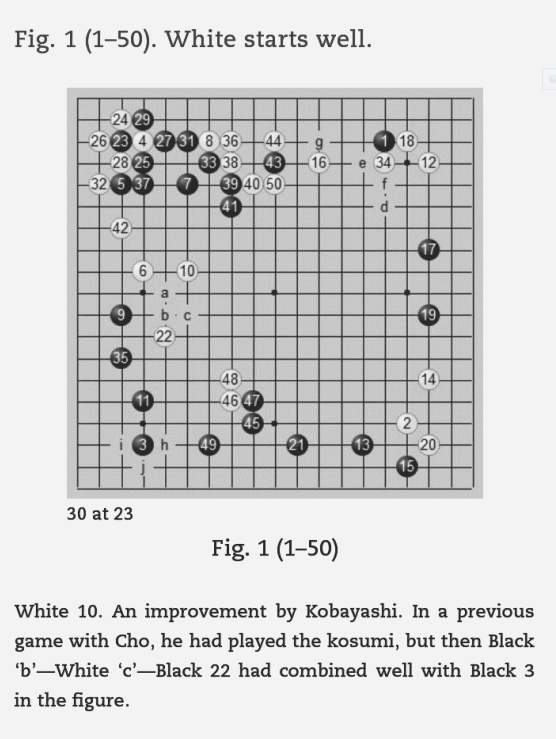 In iBooks, Apple's ereading software for iPad and iPhone, Kiseido Digital Books provide a brand-new ebook reading experience with its moving go board. No more sequinting at the page trying to find a move on the board, or trying to reconstruct a sequence in your head from little letters on the board! Kiseido Digital Books work equally well on dedicated Kindle readers such as the Kindle Paperwhite, and the Kindle Reader available for nearly all platforms, including iPad/iPhone and of course your PC. Here's how the book appears on the Paperwhite. Unfortunately, the Kindle does not support interactivity, so these are static, non-animated books. The Kindle Store offers you the ability to download and read a free sample of the book. Do give this a try.